I’ve been meaning to post about making balloon animals for some time. 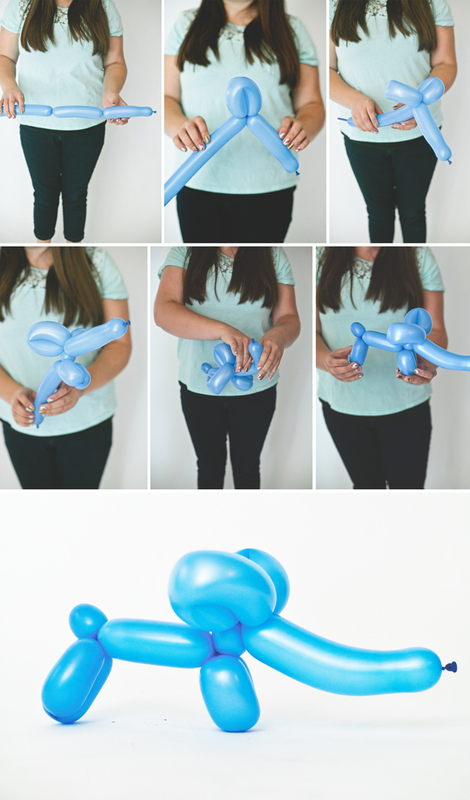 Originally I thought I would have a balloon artist over to share how to make them (but quickly realized the difficulty in finding a balloon artist in my area who looked safe – eek!). Thankfully Tenney, one of our craft assistants, was willing to learn. 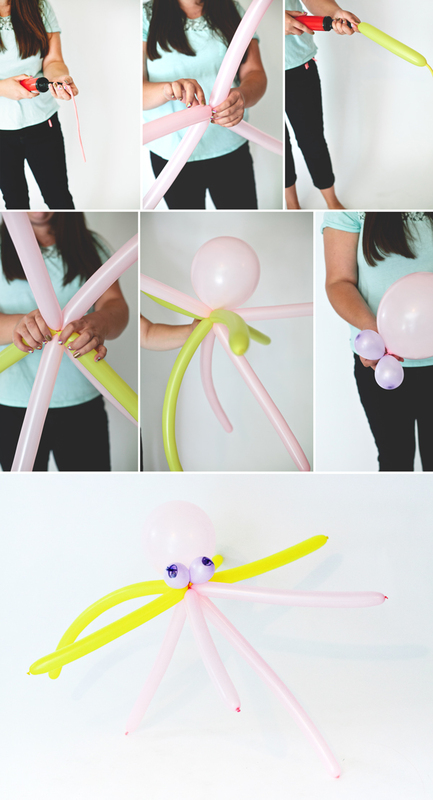 She came up with four balloon animals that are super easy to make and will WOW your guests (no matter their age). Bring a pocketful of balloons to the next birthday party and be the best Aunt, Uncle, or parent in the room. Start by blowing up the regular balloon. 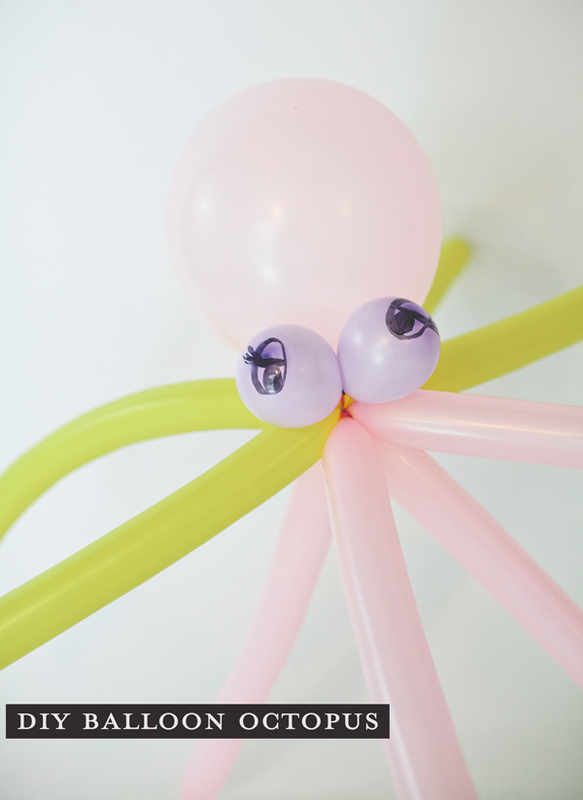 Blow up two small balloons and four long balloons (the color variations on this octopus are whatever you might dream them to be). Once all the balloons are blown up take two long ones and twist them together at the center. Add in the second two, interchanging colors as you go. Next twist the two small balloons together and use a sharpie to draw on eyes right in the center. Twist the four long balloons and the base of the regular large balloon together to form the head, then twist on two small balloons at the connecting point. To make the balloon animal dinosaur, start by blowing up one long balloon leaving about 3 inched deflated. Starting at the inflated end make a lock twist about 4 inches in to create the dinosaurs body. Do another lock twist at about 2 inches to form the front legs. Then begin twisting off 1 inch circles making five total. To form the basic Stegosaurus shape take the five circles and gently push them into and underneath the first large lock twist you made, they’ll pop up on the other side as the back and twist into place. 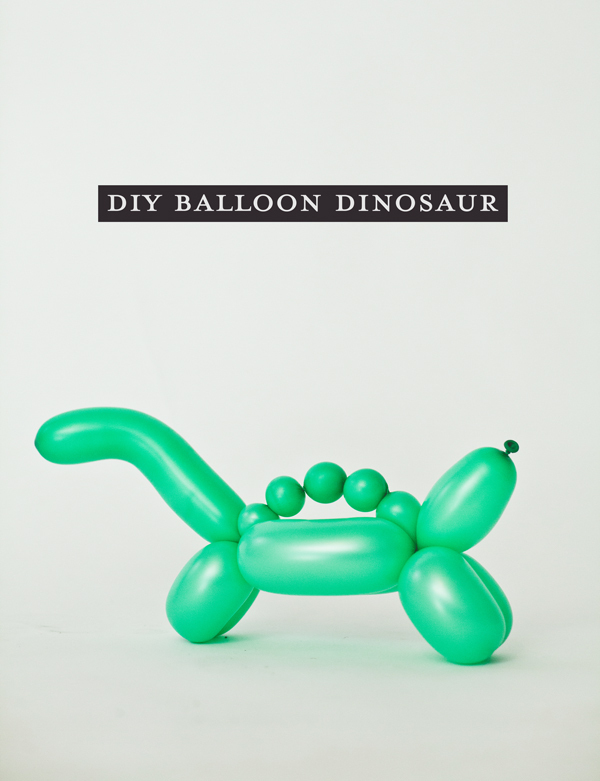 Finish off the end with a lock twist for the back legs and bend the tail just a bit to create a simple dinosaur balloon animal. 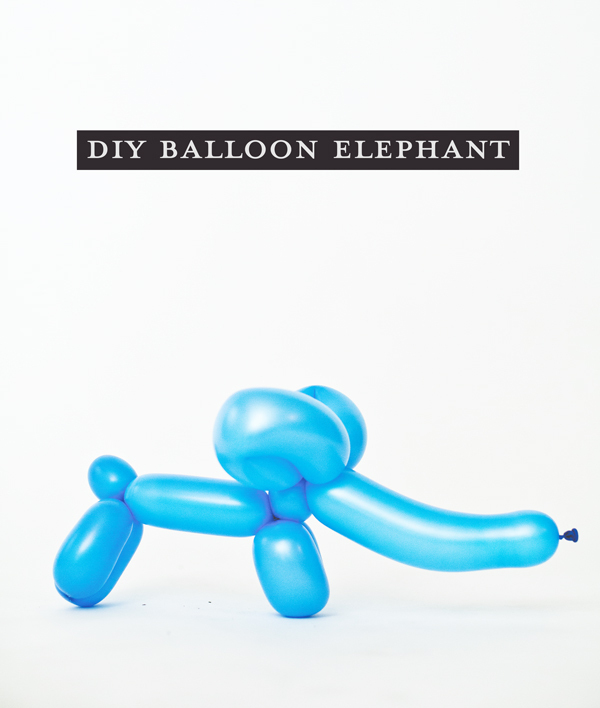 To make the elephant start by inflating the balloon leaving a 2 inch deflated tip and tie off. Make the trunk by holding about 5 inches of the inflated end and bending it so you get the look of an elephant trunk. Make the iconic large elephant ears by using about 4 inches for each and making one fold twist inwards and then a second. Next make a short basic twist with about an inch of the balloon to create the neck. Next make a lock twist for the front legs and about a 4 inch basic twist for the body. Lastly a lock twist will create the back legs leaving about an inch at the end for his tail. 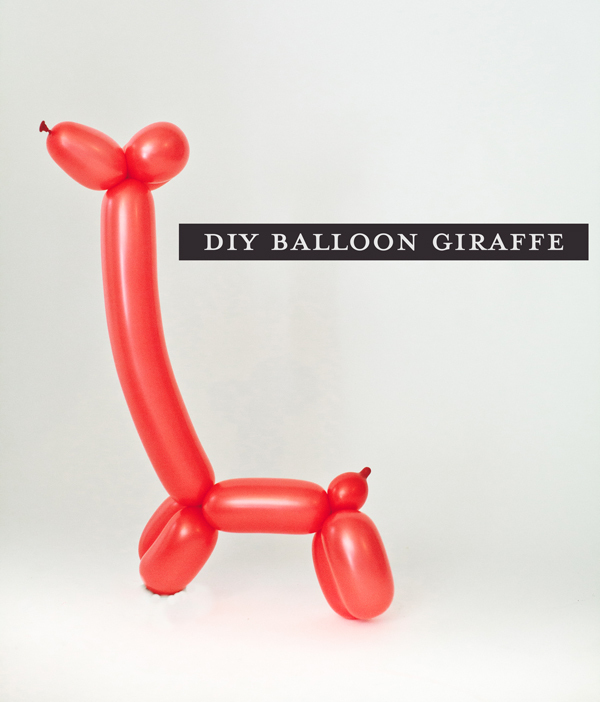 Make this balloon animal giraffe by inflating one long balloon leaving about 3 inches deflated at the end. 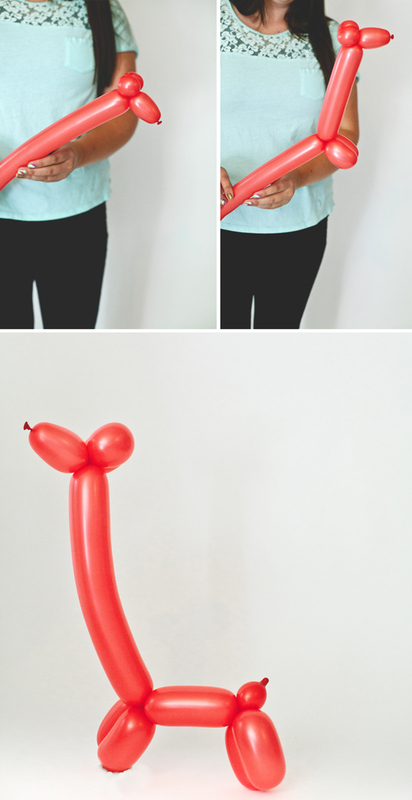 Do a simple twist about 3 inches from the end of the balloon. Twist off two two inch sections and then lock them together (this is called a lock twist) to form the ears. Next do a simple twist about 9 inches down the balloon making a very LONG giraffe neck. Do another lock twist with 8 inches of the balloon to form the front legs and then simple twist about 3 inches off for the body. Lock twist again for the back legs and a 1 inch section should be left for the tail to finish off the basic balloon giraffe. Photography in collaboration with Jocelyn Noel Photography for A Subtle Revelry. Hehe….so adorable! I’ve totally got nieces and nephews who will love me becuase of this! Thanks! Cute, cute, cute! Well done, Tenney! The art of making balloon animals is one that I would probably need to master soon. My son asked me to bring in balloons and turn some of them into cool figures. It seems like I might need to hurry since his birthday part is in three weeks. so funny and adorable concept of balloons animals to make more fun for kids. surely kids love it.. thanks for this idea…!! 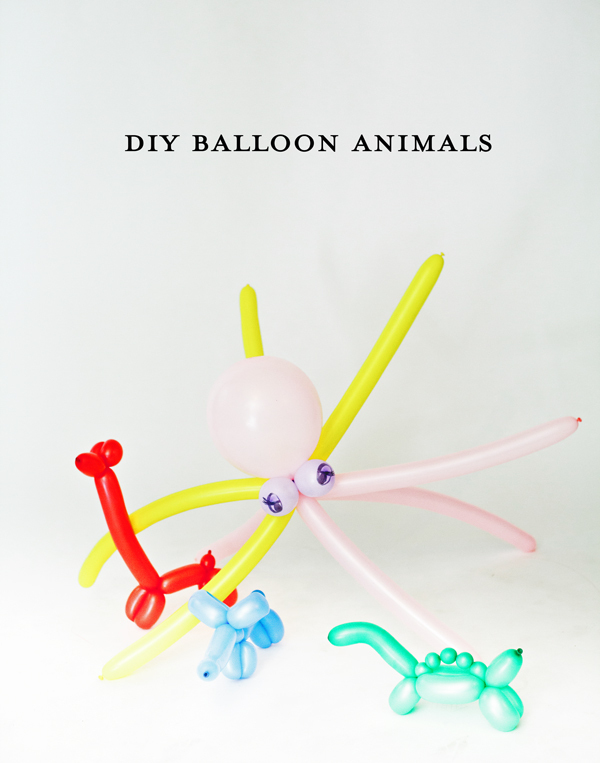 Awesome tips on making balloon animals.. Loved it!